Channel Nine’s A Current Affair thrives on stories involving the little guy battling bureaucracy. Sea 101.3 breakfast host Daniel Gawned has helped deliver a pearler, earning himself a nanosecond cameo. 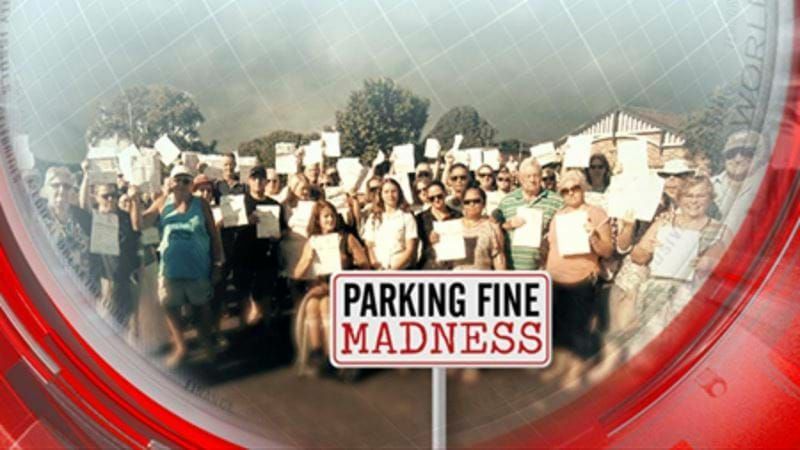 It kicked off with listener calls from those living on the Central Coast, who’ve copped hefty council fines for parking on their own curbside. “We took calls from locals, who were furious and refused to pay the fines. ACA got wind of the story and sent their crew to cove it,” says Gawndy. “I then went down to support the people of the area and walked with the locals as they chanted ‘we won’t pay, we won’t pay. Gawndy laughs about his ‘non-criminal’ appearance on the Channel Nine flagship, but says it was more about getting involved with the community. There should be a statue of Gawndy erected in Umina for this! What a community CHAMPION!!!!!!!!!! Odd. When I was in radio it was never about ‘supporting the people’ to break the law. Must be an Aussie thing. Like the audio. These two would do well in metro.